You can install the drinking water station yourself. All the parts you will need are included in the kit and it is relatively simple if you are a confident DIY-er. Reverse Osmosis: A filtering process where water is pushed through a semi permeable membrane to trap contaminants to produce clean, crystal clear, delicious tasting drinking water. Purer water than bottled and jug filters: Water purity is measured using a standard measurement called “total dissolved solids” which is the combined content of all non organic and organic substances contained in a liquid. Longer lasting filter: The Kinetico patented and exclusive EverClean® Rinse technology dramatically prolongs the life of the reverse osmosis membrane and ensures consistent high quality water. Excellent water flow rate: Outperforms all other reverse osmosis systems with its unique QuickFlo® tank technology. 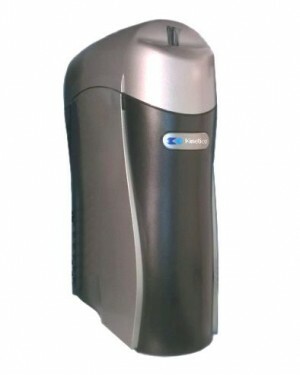 It ensures a strong and steady flow of water from the tap. Peace of mind: Eliminates the guesswork from filter changes by using a unique and patented MACguard[R] device to measure water use to accurately determine when change is required. Excellent warranty option: Kinetico 10 years parts Warranty. N.B. The K5 needs a minimum of 2.41 bar water pressure to work effectively. Please consult your local water provider for more information.